I regularly undertake Chinese-to-English translation projects in a number of fields, including those noted below. Interested? Please contact me. The Metaphor Detox Center by Sheng Keyi (锦灰, 盛可以 著); Mission from Gondwana (崗瓦纳之约) by T.K. Garbo; Urho by Hong Ke (《乌尔禾》，红柯 著); Funeral of a Muslim by Huo Da (《穆斯林的葬礼》, 霍达 著); Legend of Mongolia by Ran Ping (《穆蒙古往事》, 冉平 著); Canticle to the Land by Fan Wen (《大地雅歌》, 范稳 著); The Last Quarter of the Moon (《额尔古纳河右岸》), White Snow, Black Raven (《白雪乌鸭》), and Peak among the Mountains (群山之巅), all by Chi Zijian (迟子建 著); Shanghai Baby by Wei Hui (《上海宝贝》, 卫慧 著); Reflections on the Greater Middle East by H. K. Chang (《大中东行纪》, 张信刚 著); I’m 18, Gimme a Chick by Feng Tang (《十八岁给我一个姑娘》, 冯唐 著), and The Embassy’s China Bride by Jiu Dan (《大使先生》, 九丹 著). Translated books (published): Chinese Dress & Adornment through the Ages (《中国历代服饰艺术》，高春明 著) by Gao Chunming, and two volumes that I co-translated, The Most Beautiful Chinese Classical Paintings (《最美的中国古典绘画》) and The China Tea Book (《中国茶书》，罗家霖 著). Translated novels (published): Confessions of a Jade Lord (《时间悄悄的嘴脸》, 阿拉提·阿斯木 著), by Uyghur author Alat Asem; The Last Quarter of the Moon (《额尔古纳河右岸》, 迟子建 著) by Chi Zijian; and Shanghai Baby (《上海宝贝》, 卫慧 著), by Wei Hui. Edited English translation of 《祭语风中》(working title: Prayers in the Wind), a novel by Tibetan writer Tsering Norbu (次仁罗布) to be published in 4Q 2018. Edited the translation of a Xinjiang-based novel by Uyghur author Patigül, due for publication in 3Q 2018: One Hundred Year Bloodline (《百年血脉》，帕蒂古丽 著). 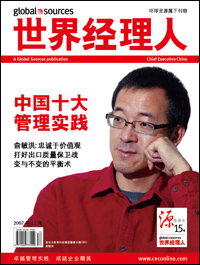 I launched editorial coverage for several Chinese-language B2B magazines and web sites, and trained and managed their editors and translators, including China’s leading management portal, 世界经理人 (Chief Executive China Online), and 国际电子商情 (ESM), which targets China’s electronics factory managers and purchasing engineers. For a sampling of my writing on business topics based on online surveys I personally designed, see 经理人对中国当前商业法环境缺乏信心 and 经理人生存状况调研 .